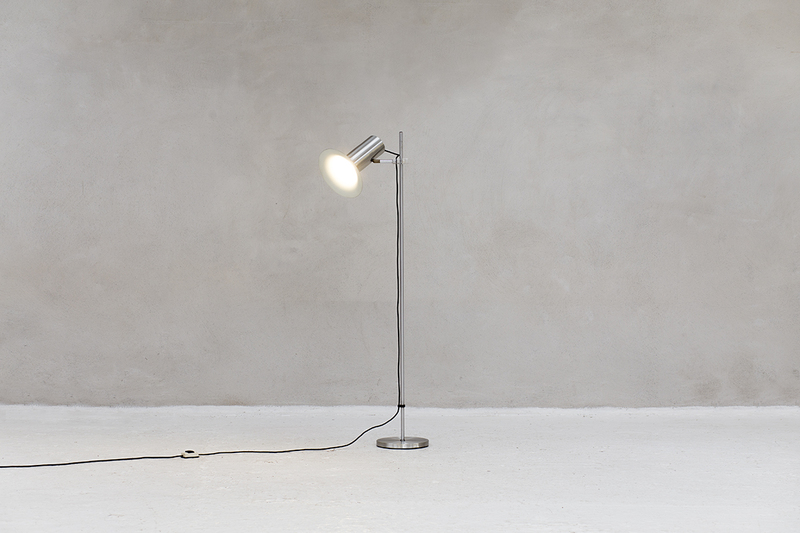 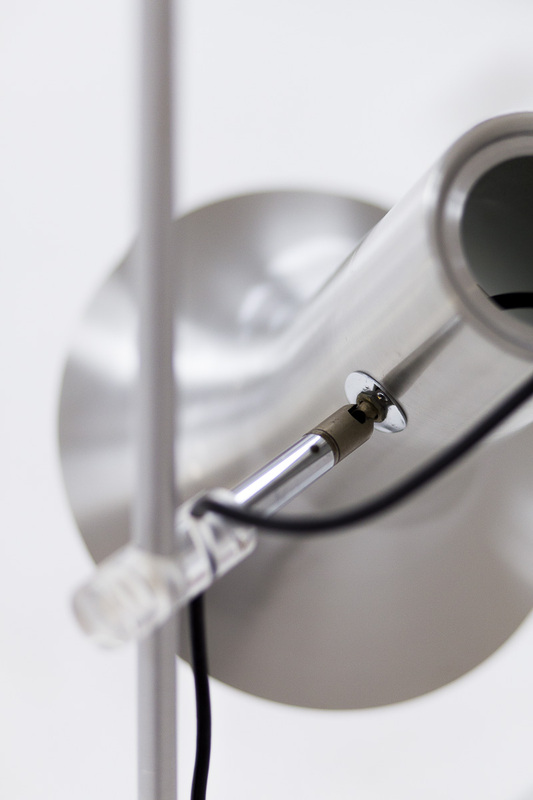 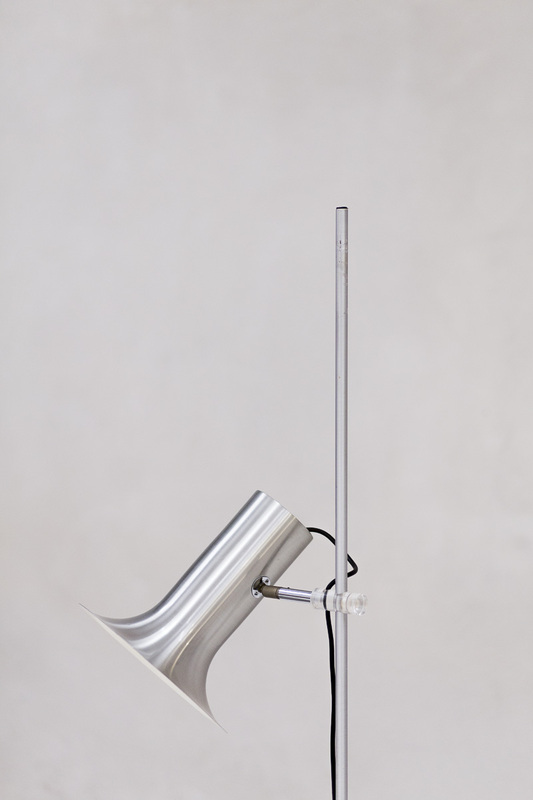 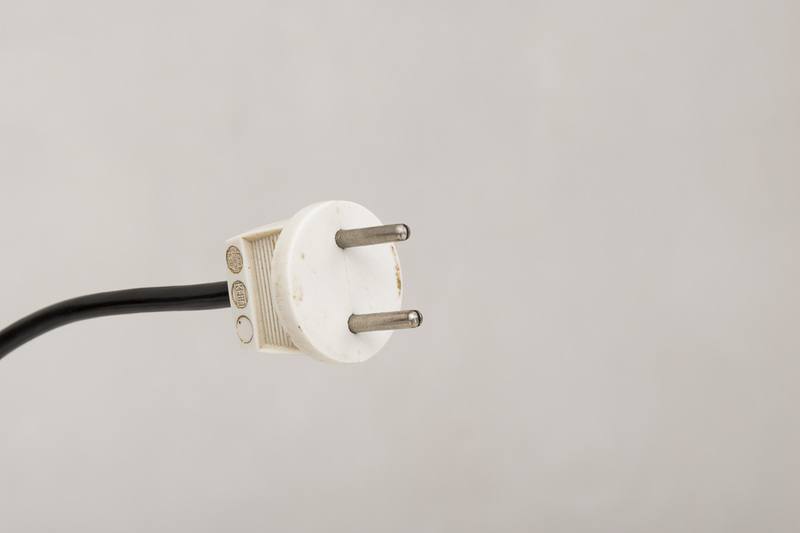 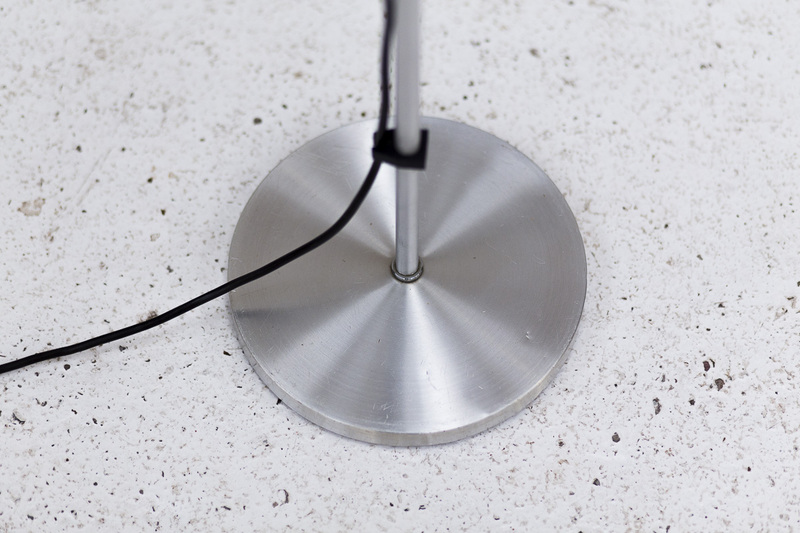 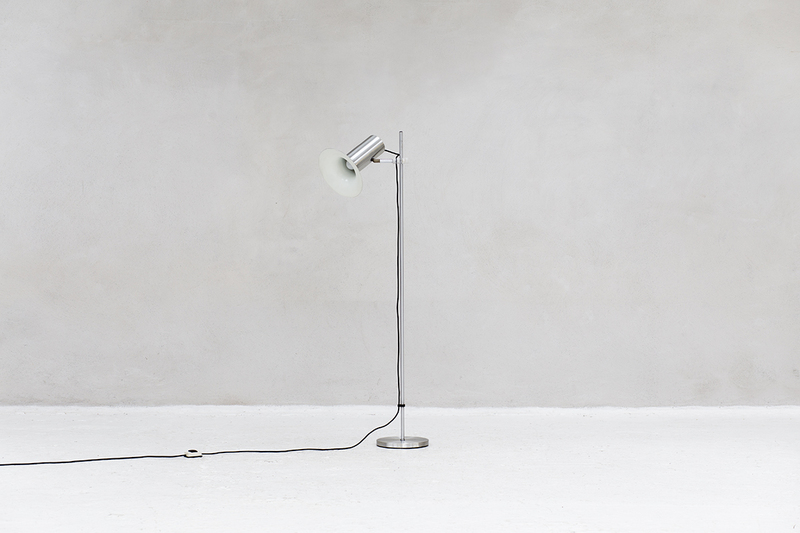 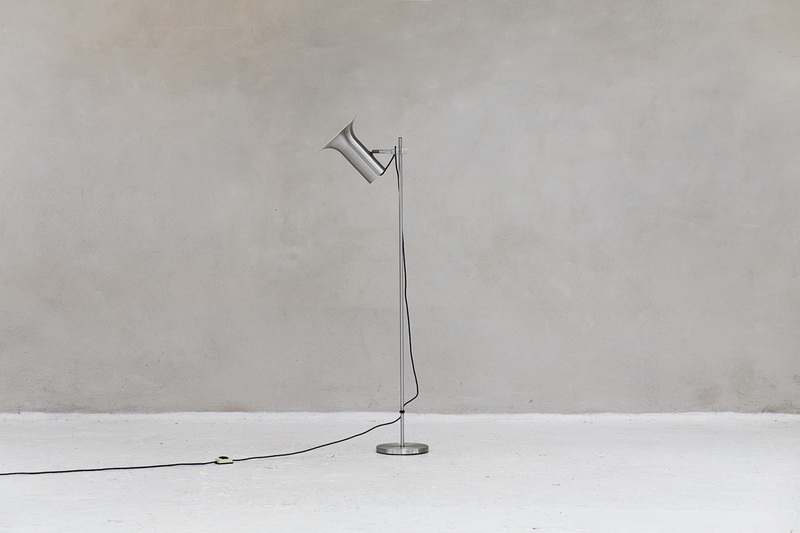 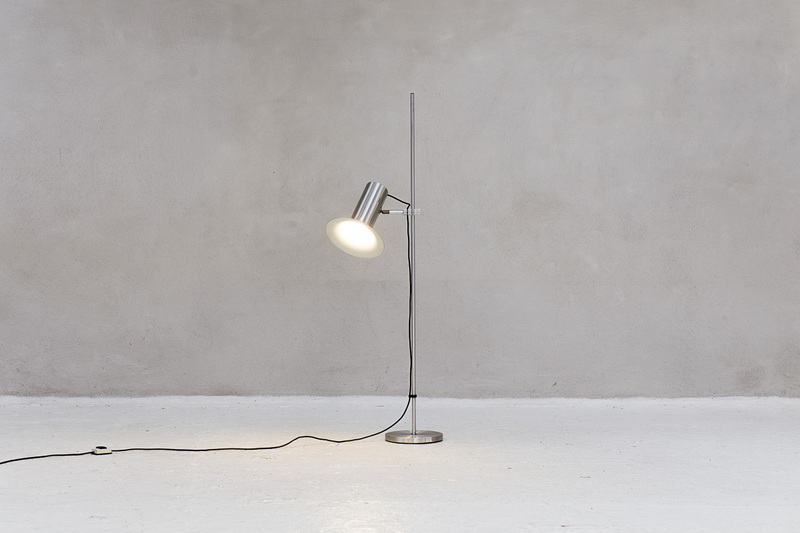 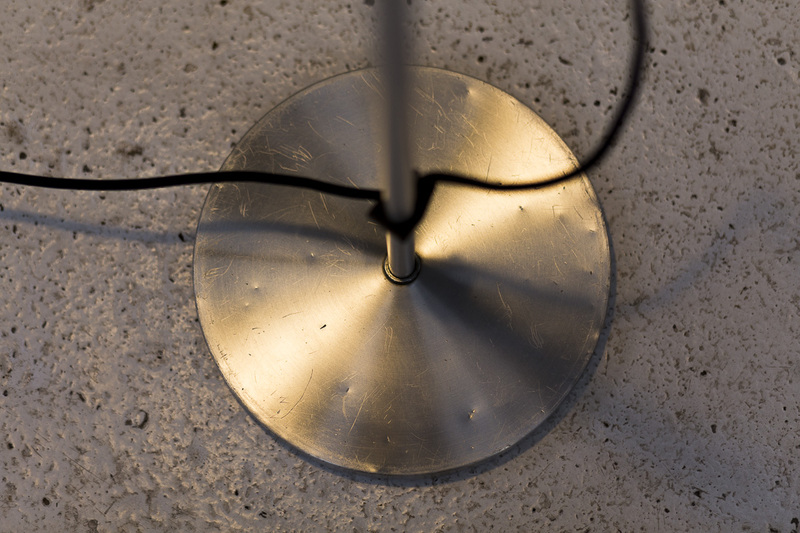 Floor lamp, D 2303, designed and produced by RAAK Amsterdam in 1968. 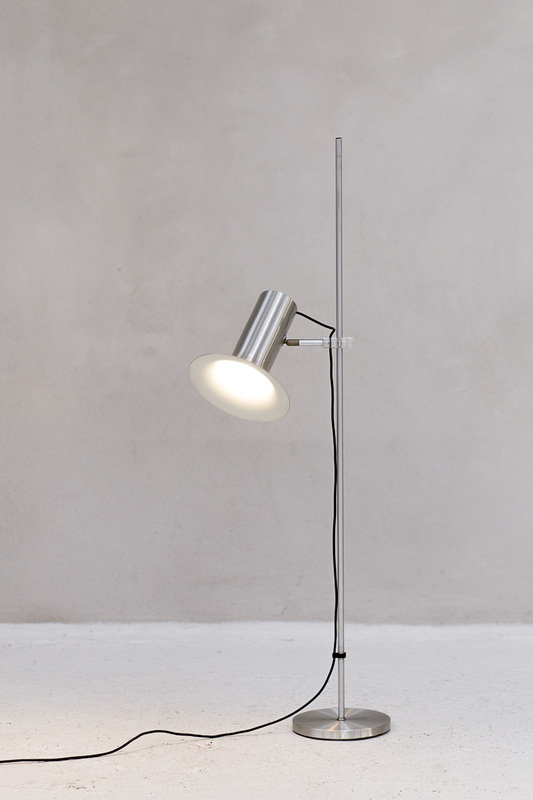 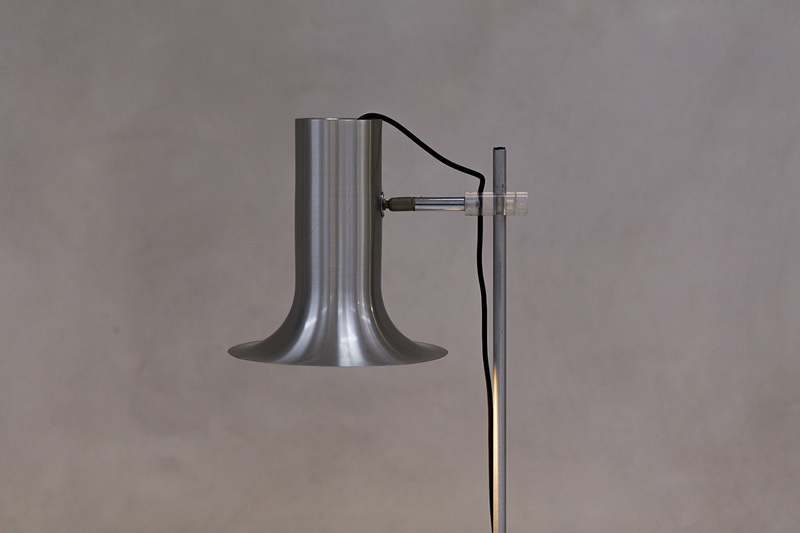 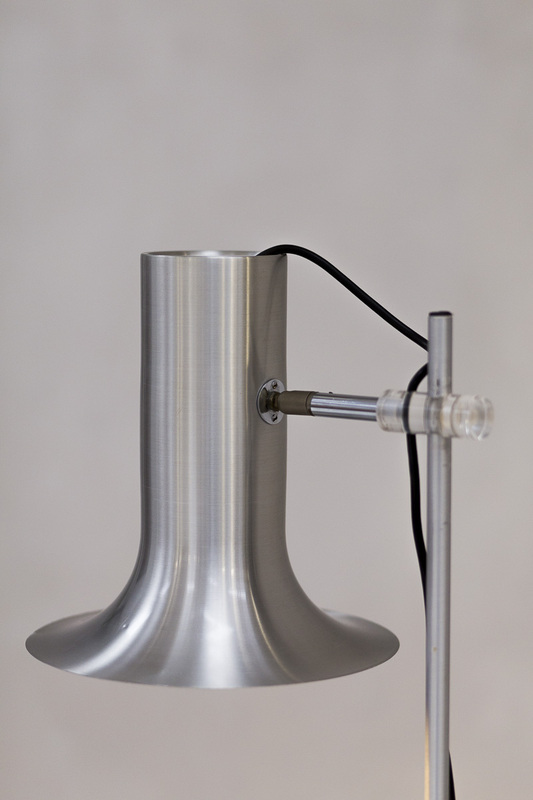 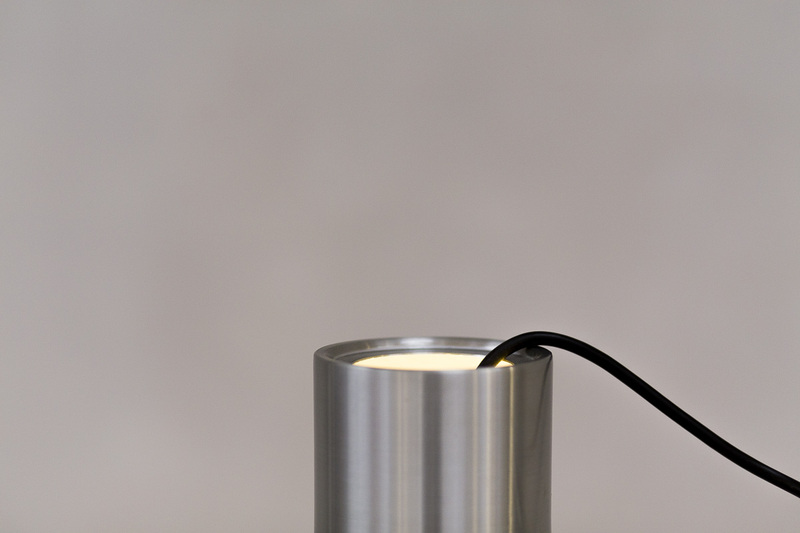 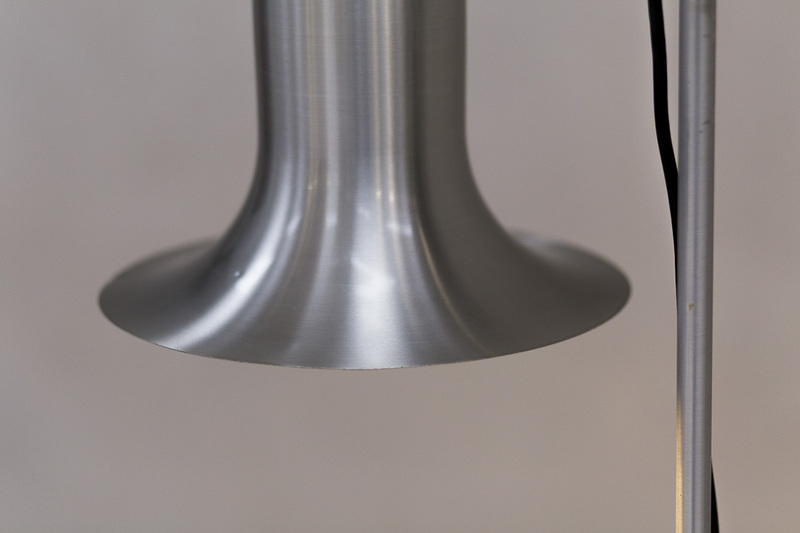 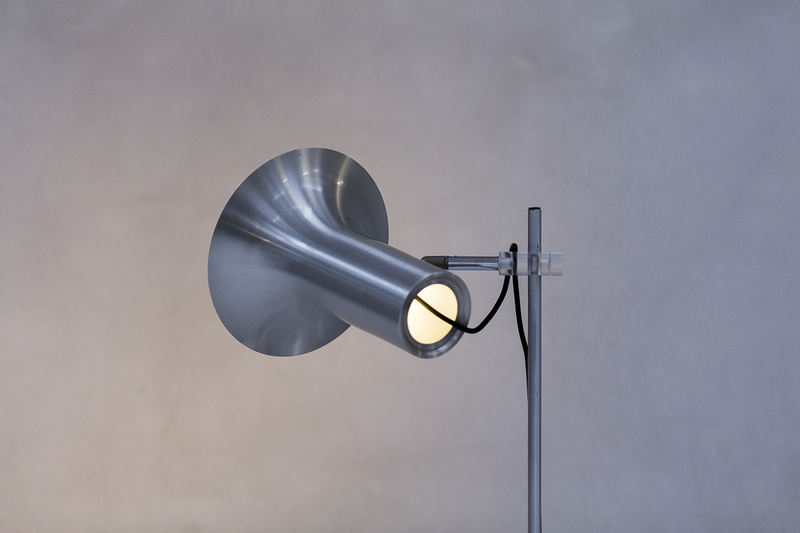 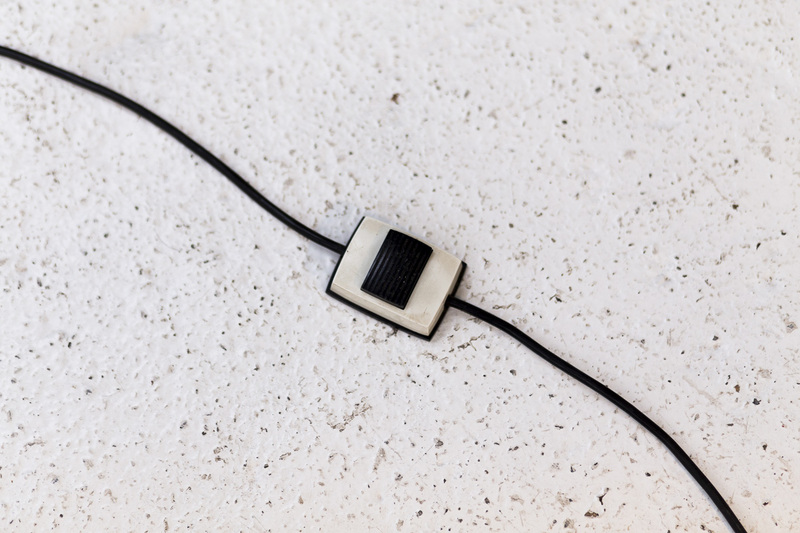 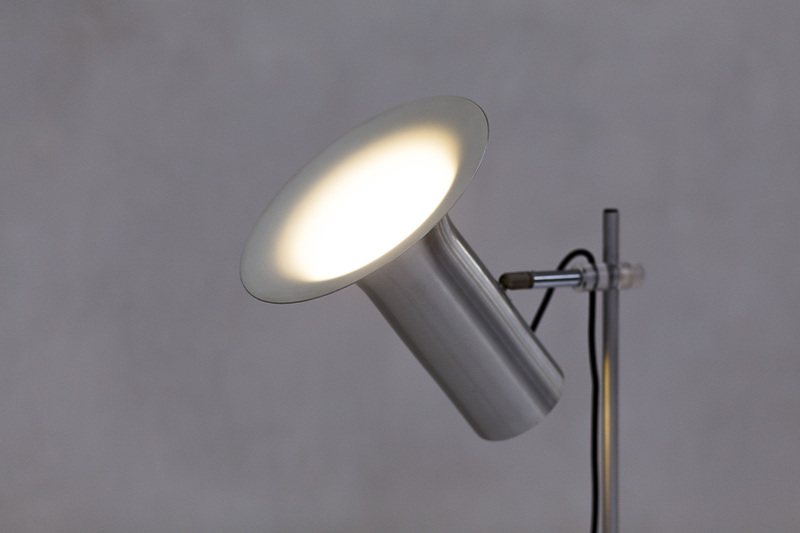 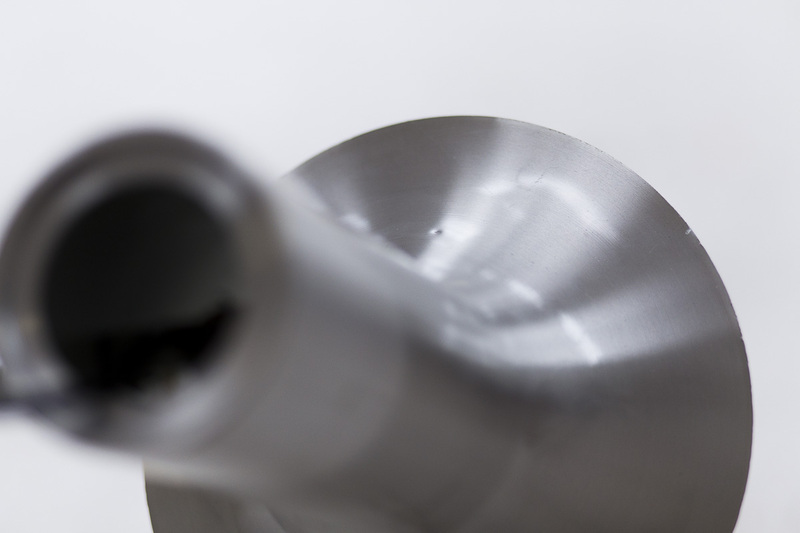 This lamp features a charcoal grey reflector which is adjustable in height. 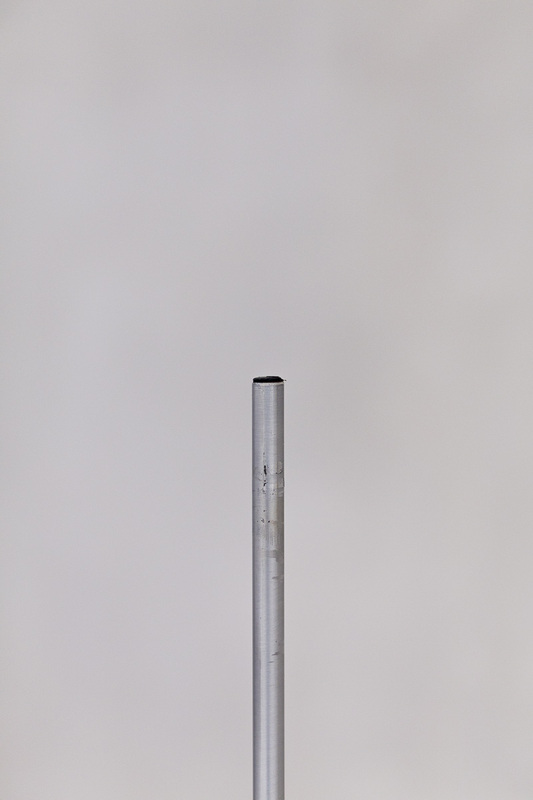 In good condition with some small using marks as shown in the pictures.